Paganini / Truhlář / Novák / Tučapský - Duo Teres - Mediální ohlasy - ArcoDiva management - Hudební agentura - Hudební agentura ARCO DIVA Management s.r.o. Nicolò Paganini wrote frequently and impressively for the guitar. It is a facet of his corpus which has been relatively neglected in performance and recording. That said, there is at least one 'Complete Works for Violin and Guitar', a 9-CD box set featuring Luigi Bianchi and Maurizio Preda, released in 2004 on Dynamic 466/1-9. 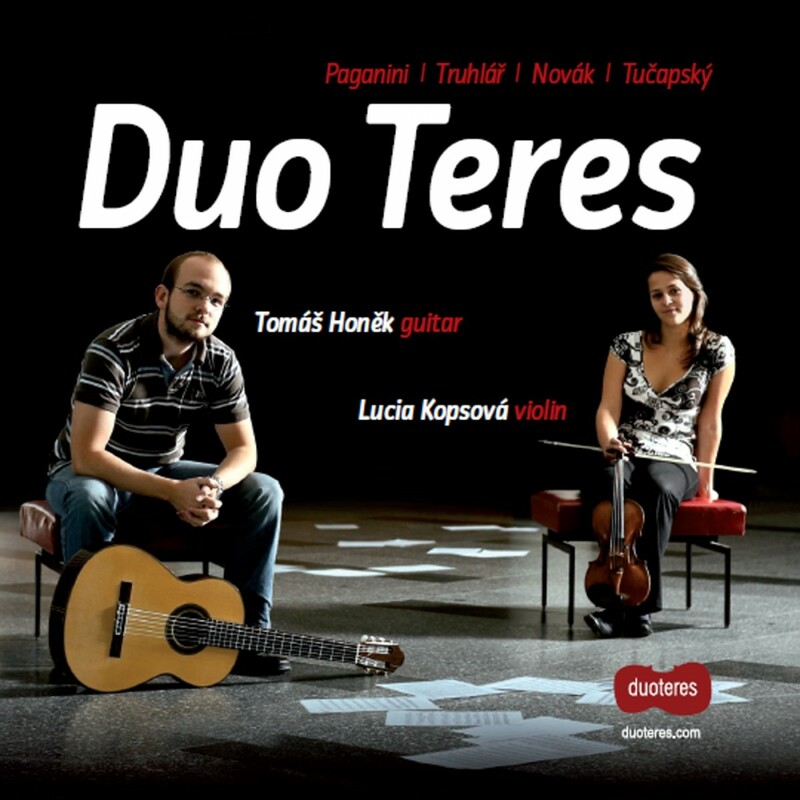 On this new recording by the Czech-Slovak Duo Teres, two of Paganini's sonatas are programmed with works by three 20th century Czech composers. Though that might seem at first glance an odd combination, this disc is unusual in that the Czech contributions all seem to come from a different time - despite all dating from the 1980s, they could have been composed in almost any decade in the first half of the twentieth century. Moreover, these are all audience-friendly pieces - following in Paganini's footsteps, as it were. This is a highly attractive programme. What ArcoDiva have listed simply as Sonatas no.1 and no.4 are from the first set of what Paganini called hisCentone di Sonate, MS 112A numbers 1 and 4 in the Moretti-Sorrento Thematic Catalogue (1982). Though the liner-notes explain which sonatas these are of the eighty-odd Paganini wrote for this combination, it remains rather misleading to label them simply as "Sonata no.1" and "Sonata no.4" when Paganini had long since written at least fifty other sonatas for violin and guitar previous to theCentone! Furthermore,Sonata no.1is listed on the CD as being in Aminor, which, according to the MS Catalogue, is merely the key of the final movement.